Audio-Technica’s 700 Series Freeway wireless delivers professional features and sound quality unheard of in its class. These easy-to-use wireless systems feature eight selectable frequency-coordinated channels, diversity operation for increased range/reliability, automatic frequency scanning, Tone Lock™ squelch and more. 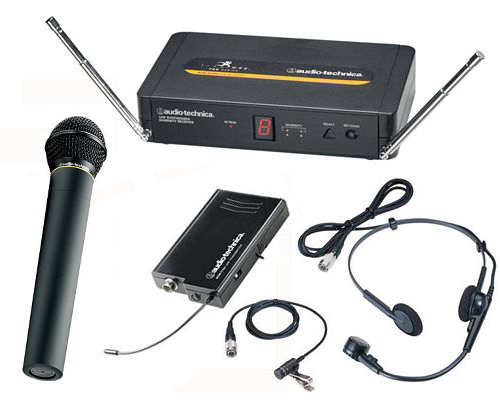 700 Series Freeway systems come equipped with your choice of handheld, headworn, or lavalier microphones.